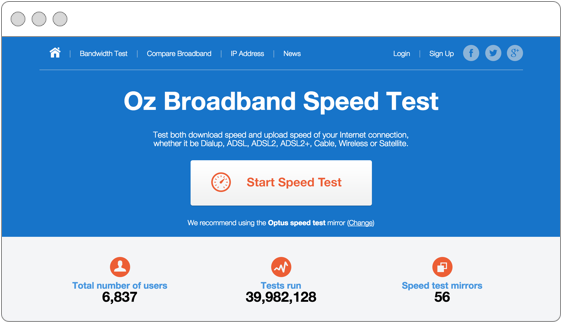 Oz Broadband Speed Test is Australia's largest and most popular Internet speed test website. On any given day, around 15,000 Australians visit to check the speed of their Internet connection. The site helps users diagnose any problems they might be having with their Internet connection. 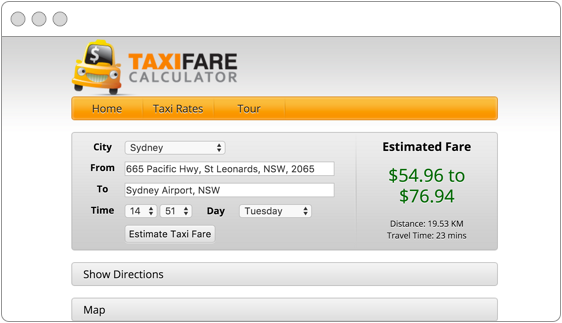 The Taxi Fare Calculator allows users to get an estimate for their taxi fare before they even hop in. By using the Google Maps API, the routes distance is calculated and a fare is calculated using rates from a selected city.